Gold prospecting board games are great fun for those who enjoy history, adventure and accumulating wealth. The idea of going on an adventure and searching for gold is an interesting concept. Whether it's the thought of getting rich quick or just delving into unknown places to find treasure, it has a lot of appeal. Here are some gold prospecting board games you may want to look into. China Gold Originally created in Berlin, this game has been translated into English. It is a 2-player game. The rules are simple. Each player will either explore the mountain or river area on the game board to find sources of gold. Be the first to find the gold and block your opponent's progress. 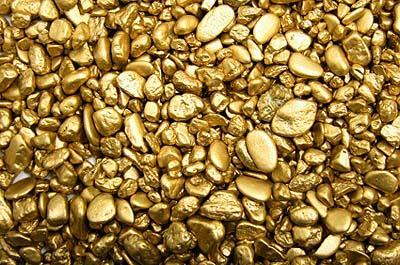 The winner is the player that uncovers the most gold after all prospecting areas have been cleared. Race to the Gold Diggings of Australia A rare board game that was created by an unknown person in 1850, when the height of the gold rush had people traveling all over the world in the hopes of getting rich quick. The concept of the game was to travel overseas from Plymouth to Australia. The player that arrived there first found a bounty of gold nuggets and was the winner of the game. Today, the original game is at the Powerhouse Museum in Sydney Australia. Gold Town: The Mining Game Historically based on the experiences of the Old West during the time of the gold rush era (1870s). Its creator, Eric Hotz came up with the idea in 2003. Inspired by his experiences as a young man growing up in an old Canadian mining town, he wanted to create a game that encompassed the time of the Old West without the harsh violence. Gold town is a board game that utilizes miniatures to represent an old mining town. Played with 2-8 players, each is a miner that has an initial gold mine claim. The goal is to have the most money at the end of the game when all gold has been uncovered. There will be temptations to spend your wealth through gambling, drinking and romance. Life in the Old West was tough, but if you're smart you will be wealthy and successful. Download the game board and pieces for a low price off of this website. Explorium Board Game Created in 2004 by 49th West Games, it is a unique board game filled with precious metal exploration, the stock market and corporate takeovers. As a president of a junior exploration company, you seek to find gold and other valuable metals for profit. Watch the Metal Market index and your competitors to be sure you are investing your efforts into the right direction. Will you succeed and become a mining tycoon, or will your rivals swallow you up and face the poorhouse? Try this game and find out. Lost Valley Imported from Germany, it was produced by the Kronberger Spiele Company. In the game, the players are prospectors who are exploring the Klondike region. Each player starts of with limited resources and equipment, so a bit of strategy and luck can go a long way. The winner is the player that ends up with the most gold nuggets at the end of the game. If you're fascinated by the thought of finding precious metals or exploring a bit of Old West history, then gold prospecting boards games may be worth checking out. Your bounty of gold awaits you!